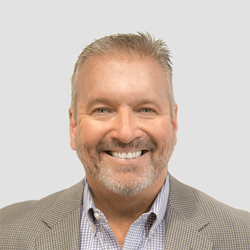 Cecil Fuller, formerly director of business development for accounting firm LBMC, joins Pilgrim Consulting, a Nashville-based software development firm, as vice president of business development. Fuller joins Pilgrim from LBMC, where he served as director of business development for LBMC, PC and the LBMC Family of Companies that include Technology Solutions, Wealth Advisors, and Physician Business Solutions. Prior to LBMC, he was director of business development for Compuware. He also has a background in mortgage and investment banking. The David Lipscomb University graduate serves on the board of Regional Engine-MFG, a not-for-profit consortium of manufacturers in East Tennessee dedicated to innovation and collaboration for manufacturers in the East Tennessee region. LBMC recently made headlines for its purchase of W Squared, an outsourcing services company. Pilgrim Consulting’s 100+ employees develop software solutions for companies ranging from TrackPoint Systems, a fleet logistics company, 2Com, a marketing logistics firm; construction lender Built Technologies; and consumer packaged goods such as Books-A-Million.